One of the worst things during my childhood was the disappointment over mild and wet winters. Living and growing up in Serbia, I had the opportunity to sometimes experience days with heavy snow, but they were not as good as the ones from the early-December Coca Cola commercials. 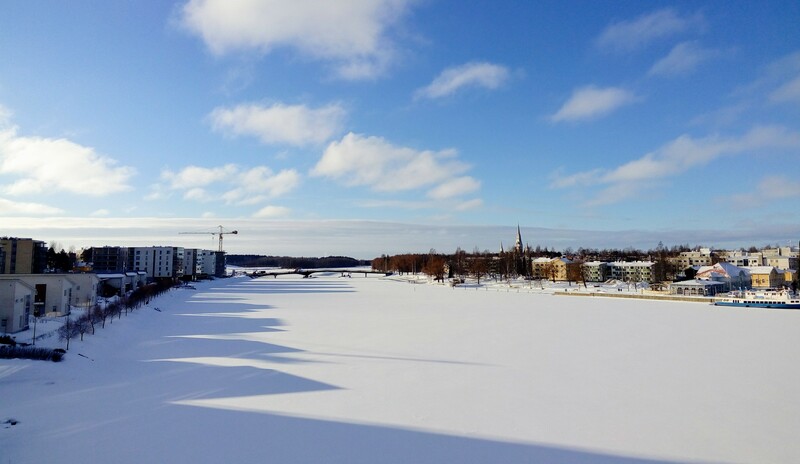 Learning that my application was accepted and that I will spend my next semester as a student of University of Eastern Finland, I was really happy to prove to myself that true winters do exist. And Finland did not disappoint me. The very first seconds I spent here were an argument good enough: exiting the airport door, every person I saw that night, including me, exhaled the shivering “WHUUH!” . . . and those were our first words here. I had the honor my first day in Finland to be a shiny -27o C one. Arriving in Joensuu from Helsinki, I wanted to take pictures of everything, but the low temperature drained my phone battery. It bothered me for a while, but it showed me that the walks to the University can be much more interesting if you just enjoy a nice sunny day, not with your head buried in your phone.